Three farming brothers from Co Armagh have been sentenced for their roles in a £140,000 VAT repayment fraud after an investigation by HM Revenue and Customs (HMRC). Ronald John Sinclair Halliday, 52, a farmer from Whitecross, played a central role in the fraud by forging invoices showing the purchase or hire of supplies and equipment, which allowed his brothers to make fraudulent repayment claims. HMRC began investigating Halliday and his brothers, Pastor Gordon William Barrie Halliday from Mountnorris and Richard Jonathan Kris Halliday from Keady, in 2013. The businesses and individuals whose names were used on the falsified documents confirmed the invoices were false. Handwriting analysis by the Forensic Science Agency of Northern Ireland concluded that it was likely some were written by Ronald Halliday. Ronald John Sinclair Halliday, born on May 31, 1965 from Drumnahunshin Road, Whitecross, was sentenced to 12 months suspended for 18 months at Newry Crown Court on Wednesday 28 June. He pleaded guilty at an earlier hearing to the fraudulent evasion of Excise Duty. Gordon William Barrie Halliday, born on April 9, 1968, from Bessbrook Road, Mountnorris was sentenced to nine months suspended for 18 months when he pleaded guilty to 17 counts of VAT repayment fraud at Newry Crown Court on Wednesday 21 June 2017. 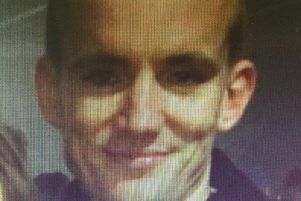 Richard Jonathan Kris Halliday, born on March 7, 1975 from Madden Road, Keady was sentenced to six months in prison suspended for 18 months when he pleaded guilty to seven counts of VAT repayment fraud at the same hearing.